The future of the Brighton Hippodrome “continues to hang in the balance” campaigners have claimed, amid concerns that it could be sold and converted for non-theatre use. The grade II*-listed venue was originally built as an ice rink in 1897 and converted into a 1,400-seat variety theatre in 1902 by Frank Matcham. The Academy Music Group has held the building’s leasehold since it closed in 2007 and purchased its freehold in 2015. A 2015 viability study concluded that the building had a “viable future as a live performance venue”, however campaign group Brighton Hippodrome CIC has voiced concerns that AMG “may be about to conclude a deal for a development that could compromise the clear public wish and the city’s proven need to see the Hippodrome returned to use as a theatre”. Campaign director David Fisher told The Stage that the deal to sell the Hippodrome – believed by one source to be priced at £2.4 million – has been “cloaked in considerable secrecy”. 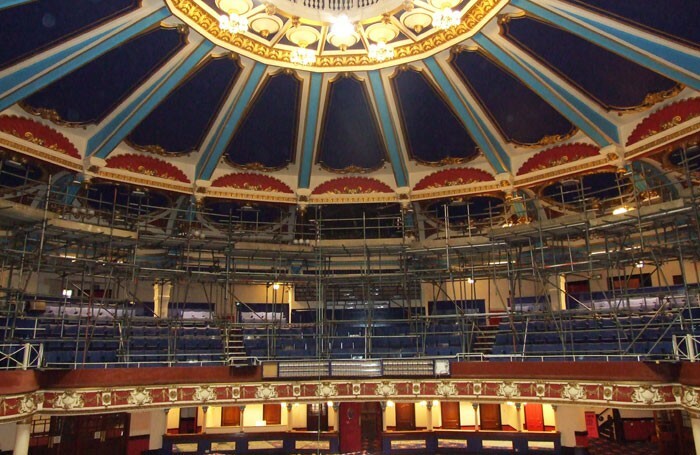 The viability study was conducted in 2015 by seven stakeholder organisations, including the Theatres Trust, Brighton and Hove City Council and campaigners Our Brighton Hippodrome. The report suggested restoration work would cost between £13 million and £30 million depending on the choice of available options. The building has been included in the Theatres Trust’s annual register of theatres at risk since 2009, and has seen off plans to re-model it as a multiplex cinema and restaurant complex, which fell through in 2015. AMG did not respond to a request for a comment from The Stage. The Green Room: Do you want to be famous?